What is the difference between a local locksmith company to a nationwide locksmith dispatch? Why we always better call a local locksmith, rather than a nationwide locksmith dispatch? When a time to call a local locksmith has arise, you search for a locksmith company, online, only to find thousand phone numbers of so many locksmiths. Not only you’re calling for help, but also calling local phone numbers to ask for a price. You finally choose one of the locksmiths you called earlier because he promised to be there within 10 minutes, and he quoted you a bottom price to the edge. You’re happy soon, you gonna solve your lock and key issue, but how can you be sure the agreement you had previously with a person over the phone, is really a good deal? When you ask a local locksmith for a quote, usually, you’d get an official price over the phone. This means you know what you pay when a technician is arrive on site. 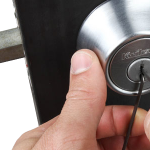 Every legit locksmith know the expenses of his work, therefore, and most of time, he is able to furnish an honest quote to your locksmith requirements. Call our local locksmiths for a quote. A nationwide locksmith dispatch always gives a “starting price”. This is a price structure that you never know what is the final price you need to pay for the services. A starting price may be vary, depend on the type of work, or the company you called. For instance, a starting price for a car or house lockout is $15, driving fee, and starting price of $35 to unlock your door. Well, there is no such $35 to unlock a door, no matter car door, house door, or office door. It’s important to remember; you should strongly disagree for a starting price because when the locksmith will arrive, you may be asked to pay several hundred of dollars. We recommend you to strongly disagree to “starting price” over the phone. You should always ask for official price, and make sure that what you’re going to pay in the end of the service. Perhaps you’re asking what are the differences between Local Locksmith VS Nationwide Locksmith? A local locksmith is usually able to arrive within 10-30 minutes of your first call. Of course, it depend on the distance and time of the day. When you call a local locksmith company, for instance, LockTech24/7, we know the Lehigh Valley area to know exactly where you are. It easy for us to tell you a correct estimate time of arrival. Usually, our locksmiths can arrive at your location within 20-30 minutes, wherever you are in the Lehigh Valley. We serve Easton, Bethlehem, Allentown, and the entire Lehigh Valley, in a daily basis. We are local to you, and we care of our community. A nationwide locksmith dispatch don’t know where is the technician every moment to give you an accurate ETA. This is the reason why customers are waiting hours for the locksmith to arrive. This is not the case with LockTech24/7! When we say “we are on the way”, we mean it! A local locksmith company has its own employees. We know where is our technician all the time during a day. When you call us, we can give you an accurate price, as well as accurate ETA. We highly train our locksmiths to be able to handle any lock and key issue, whether for car, house, or business. In most cases, a nationwide locksmith company hires contractors to serve their customers. These contractors are usually unprofessional locksmiths and poorly trained. In addition, those contractors are working for commission based salary, so the most money they get out of you, the more money they make. When you deal with a local locksmith, and problems has arise in the future, you can get answered, hassle free. Your locksmith will come again to address the issue and to solve the problem for you. We are local, and we are everywhere in the Lehigh Valley, each and everyday. A nationwide locksmith dispatch is a different story! In many cases you will find nobody to speak with. A nationwide dispatch can’t control on his locksmith subcontractors. You depend on unprofessional locksmith, as well as unprofessional customer service. We heard customers complained that locksmith dispatcher hanged the phone on them, over and over again. When you compare a local locksmith vs nationwide locksmith you easily decide to deal with a local locksmith company. Don’t let a shady locksmith to deal with your safety and security. 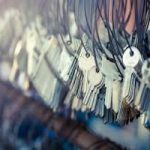 When you know the differences between local locksmith vs nationwide locksmith, you can use it to your advantage. Whenever you need a local professional locksmith, you may call us. 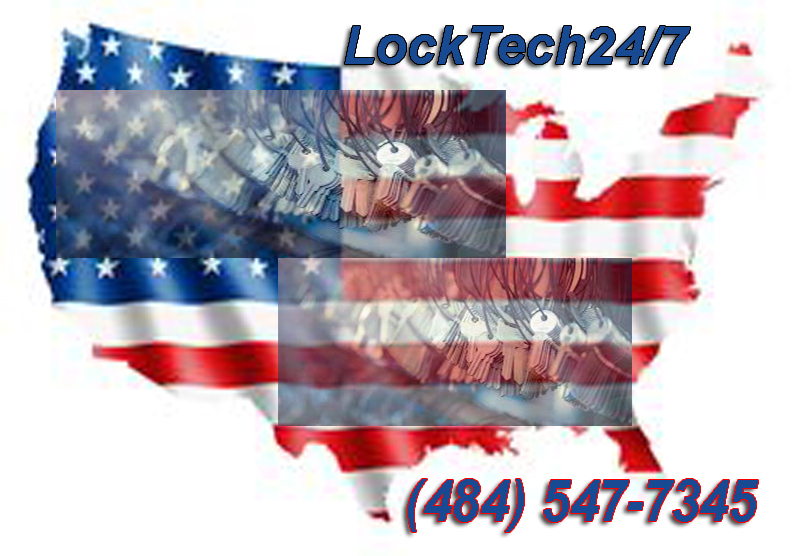 LockTech24/7 local locksmith is available 24 hour a day, 7 days a week.